Situated in Macclesfield, this spa hotel is 2.8 mi (4.6 km) from Adlington Hall and within 9 mi (15 km) of Hazel Grove Golf Club and Stockport Golf Club. Gawsworth Hall and Millennium Walkway are also within 9 mi (15 km). 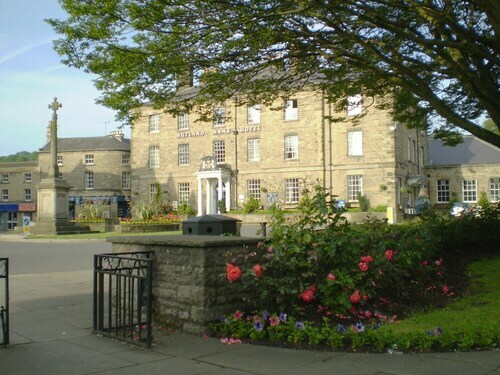 Situated in Bakewell, this hotel is within a 15-minute walk of All Saints Church and Newholme Hospital. Peak District National Park Authority and Haddon Hall Manor are also within 3 mi (5 km). Situated in Buxton, this guesthouse is 1.5 mi (2.3 km) from Chestnut Centre Otter, Owl and Wildlife Park and within 6 mi (10 km) of Peveril Castle and Peak Cavern. Speedwell Cavern and Kinder Scout are also within 6 mi (10 km). 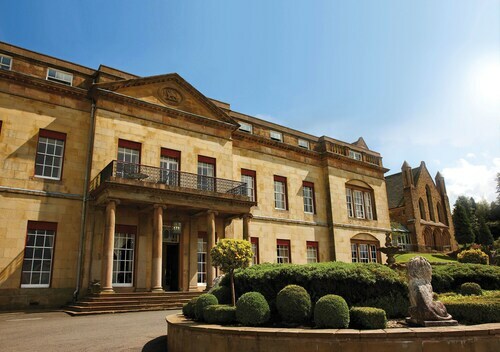 Situated in the historical district, this hotel is 1.4 mi (2.2 km) from Chatsworth House and within 6 mi (10 km) of Newholme Hospital and Peak District National Park Authority. All Saints Church and Eyam Hall are also within 6 mi (10 km). Situated in Buxton, this hostel is within 9 mi (15 km) of Dovedale National Nature Reserve, Tissington Hall, and Ilam Park. Dovedale Ravine and All Saints Church are also within 12 mi (20 km). 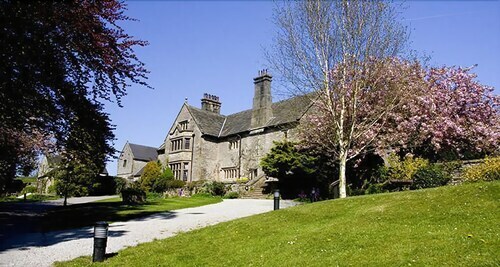 Situated in Ashbourne, this bed & breakfast is 0.5 mi (0.8 km) from Dovedale National Nature Reserve and 2 mi (3.3 km) from Tissington Hall. Dovedale Ravine and Ilam Park are also within 6 mi (10 km). 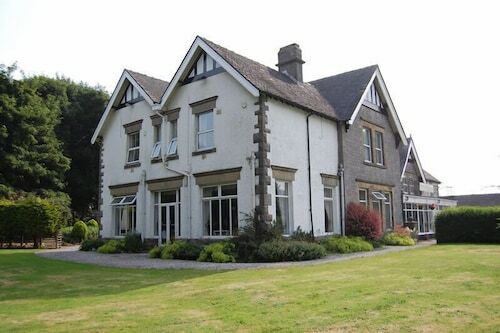 Situated in Macclesfield, this bed & breakfast is within 9 mi (15 km) of Poole's Cavern, Pavilion Gardens, and Cavendish Golf Club. Buxton Opera House and St Ann's Well are also within 9 mi (15 km). Situated in Macclesfield, this luxury bed & breakfast is within 9 mi (15 km) of Adlington Hall, Millennium Walkway, and Lyme Park. High Lea Park and Gawsworth Hall are also within 9 mi (15 km). Situated in Hope Valley, this luxury inn is 2.8 mi (4.5 km) from Peveril Castle and 2.8 mi (4.5 km) from Peak Cavern. Speedwell Cavern and Eyam Hall are also within 6 mi (10 km). Hope Station is 26 minutes by foot. How Much is a Hotel Room in Peak District? Hotels in Peak District start at $14 per night. Prices and availability subject to change. Additional terms may apply. 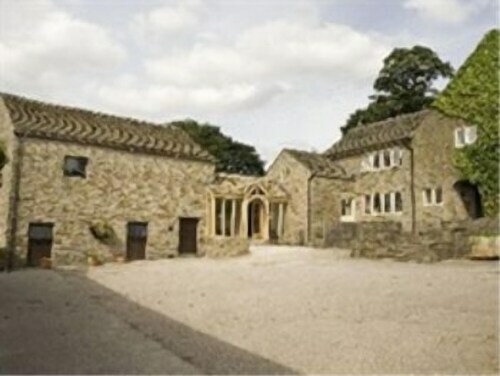 Visitors to Derbyshire who desire somewhere to stay in and around Peak District have plenty of accommodations choices. Travelers can book approximately 13 hotels and apartments within 6 miles (10 kilometers) of Peak District. Enjoy the action next to downtown Peak District. Travelocity-listed accommodations in this district include Blossom House B&B and Hargate Hall. 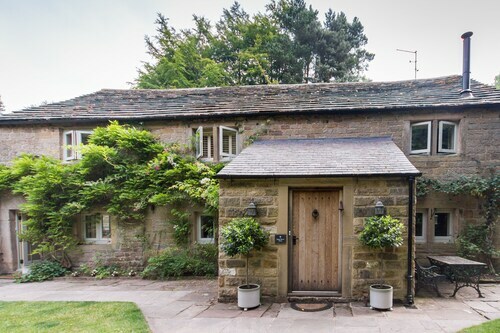 If you are planning a Peak District visit, but are a budget traveler and simply are after the best priced accommodations, you'll find that there are also quite a few economy places to choose from More options in the cheaper range of Peak District hotels are the Terrafirma Guest House and the The Waltzing Weasel. 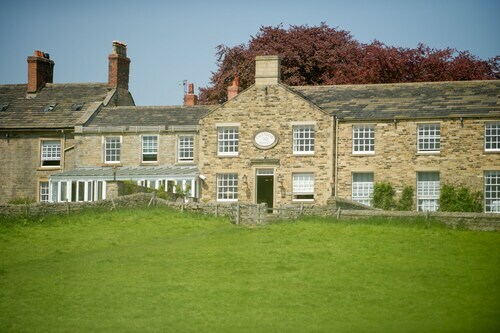 The Cavendish Hotel is 8 miles (13 kilometers) from central Peak District. Or, alternatively, the George Hotel is 6 miles (10 kilometers) away. Other possible hotels are the Wind In The Willows - Hotel and the The Plough Inn. The nearest accommodations in Derbyshire include Dovedale and Hartshorne. Dovedale is 15 miles (25 kilometers) to the south of Peak District, while Hartshorne is 35 miles (59 kilometers) to the south. 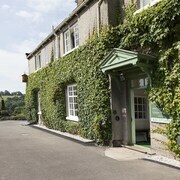 Accommodation options in Dovedale are the Peveril of the Peak and The Dog and Partridge Country Inn. The The Stables and The Mill Wheel are amongst the places to base yourself in Hartshorne. Get a sporting fix with a trek to Old Trafford, which is 25 miles (38 kilometers) to the northwest of Peak District. Travelocity customers that like the idea of finding accommodation not too far away, book in the Dreamhouse Manchester Bloom Street or The Lowry Hotel. If you are traveling through Manchester Airport, you might choose to book accommodation at Radisson Blu Hotel Manchester, Airport, or Manchester Airport Marriott Hotel, which are both located a short trip away. My room was near the courtyard/bar so it was a little noisy when I was trying to go to sleep. The room was small but comfortable for the short time I was in it. Beautiful property and close to where I needed to be. I stayed one night on my way to class in Pott Shrigley and one night after class. This was a great B&B. The hosts were very nice and helpful. The room was very nice, clean and comfortable. Good location in heart of the National Park with hiking trails outside the front door. Good views across fields into Chatsworth estate and lovely 17th/18th buildings sensitively decorated. But no air conditioning in the hottest month of the year, and no staff knowledge of how to control temperatures by closing curtains etc., during the day, and turning off bath towel heating rails etc. The main dinner menu was "heart-attack central", 1960's old-fashioned, and patronized not by the slim. The staff were nice, somewhat obsequious, but overly prowling with not much to do when times were slack. Breakfast was punctuated by nearby noisy vacuum cleaning and the strong smell of bleach. Two boiled eggs cost as much as a full English Breakfast despite 1/8th the labour and cooking gas. Wonderful innkeepers. In the midst of a farm: horses & alpacas. Breakfast was great.